All-Phaze Roofing & General Contracting understands that your home’s roof is what protects you. We are committed to constructing and maintaining your roof at competitive prices. We can save you a lot of money in the long run performing preventative maintenance inspections regularly. Customer satisfaction is our priority and we look forward to hearing from you! Owner of All-Phaze Roofing & General Contracting Michael Williams, is dedicated to providing satisfying service at a moderate cost in the Albany and surrounding areas. 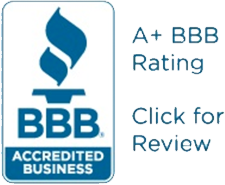 As a BBB accredited business with an A+ rating, we have serviced over 500,000 square feet of roof surface area! To protect your roof from the constant wear and deterioration of harsh outside elements, call All-Phaze to protect yourself and your investment. A comprehensive roof preventative maintenance program is an essential part of extending the useful life of your roof. Our maintenance program at All-Phaze Roofing & General Contracting, located in Troy NY, can provide annual or semi-annual visits in which we will clean the roof surface, inspect all primary roof drains and downspouts, reseal as needed all roof penetration and repair any minor roof problems. You will be eligible to receive an All-Phaze Discount in the event of any need for major repairs or replacement. Call the experts at All-Phaze Roofing & General Contracting!